Pastel de bacalhau, also known as bolinho de bacalhau is a traditional product popular in the entire country. It is a typical dish made up of potatoes, codfish, eggs and parsley. 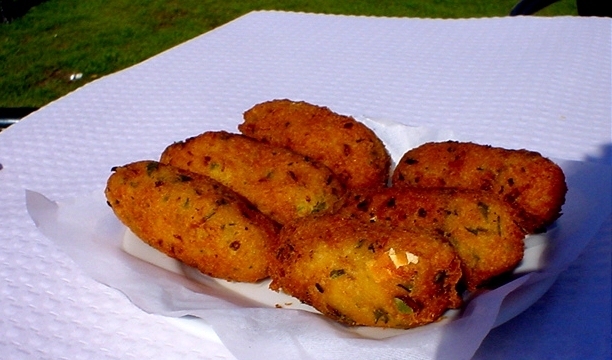 The "bolinhos/pastéis de bacalhau" are deep fried and served before meals or as a meal itself (usually served with rice). 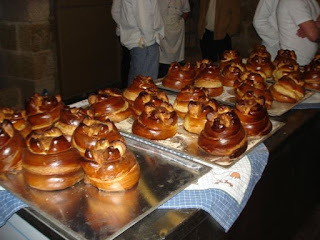 This product was among the 21 Wonders of the Portuguese Gastronomy in 2011.